Dining at Majestic Rim is a hallmark of our commitment to champion quality of life for all seniors. We feature a variety of menu choices and snacks. Residents enjoy home-cooked meals prepared from scratch and support the unique nutritional needs and preferences of seniors. Our table service and dining team encourages social interaction and nurtures friendships. 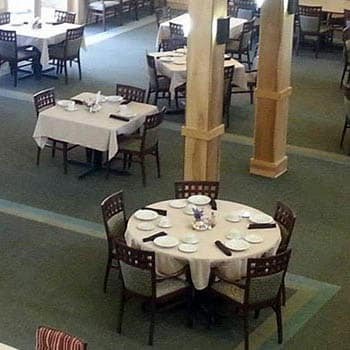 You are welcome to experience dining at Majestic Rim Retirement Living for yourself. Contact us today and join us for a meal – our treat! Seasonal and holiday events with special menu choices.